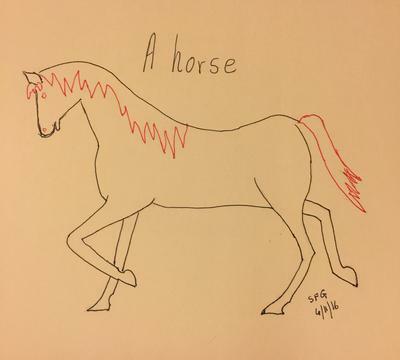 My first drawing of a horse. Simple line one, one posted earlier is a detailed one but with just the horse head. Ivan, your website gives us so much instruction and learning. The outcome you can see. Please load some more PRETTY pictures to draw from. I am only inspired to draw if the picture is beautiful. Sorry about that.